Here at Applied we set the standard in maximising performance and productivity with our abrasive blasting nozzles. Our nozzles offer outstanding durability and toughness reducing the need for replacements as they are manufactured using premium raw materials to provide you with the highest quality product possible. The exclusive line of blasting nozzles include ATN nozzles featuring tungsten carbide inserts, urethane jacket nozzles and Sidewinder Angle Nozzles of different sizes providing exceptional wear resistance and performance. Our long lasting nozzles reduce your compressor fuel costs, minimizes fatigue with their lightweight design and increase production rates due to their high performance. Our nozzles provide remarkable accuracy, faster cutting speeds while lasting longer than standard industrial nozzles. Our sales team will guide you through choosing the perfect nozzle for the application to achieve optimum blasting effectiveness and efficiency and not to worry, we operate under a next day delivery system to ensure you get your replacement fast! 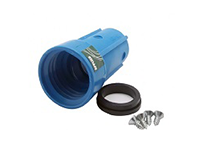 We also offer a wide variety of nozzle holders for all applications and attachments to inject water directly into the blast stream to reduce dust levels. Blasting nozzles suitable for numerous blast pots which offer outstanding productivity in the most demanding environments. 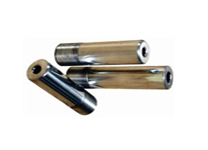 The Applied Aluminium Jacket Blast Nozzles are designed as a general purpose nozzle with an excellent level of robustness and durability. 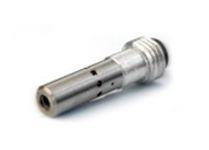 For a much larger blast pattern, we supply Double Venturi Blast Nozzles that include high production rates with a slightly lower abrasive exit velocity. 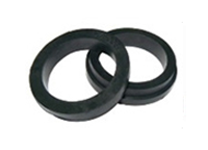 The Applied Rubber Nozzle Washers are designed to be located within the nozzle holder, and provide a seal between the rear face of the blast nozzle and nozzle holder. 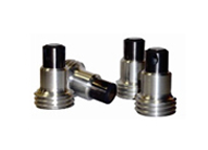 The Applied Sidewinder Angle Blast Nozzles are designed for inaccessible areas where conventional blast nozzles cant reach. 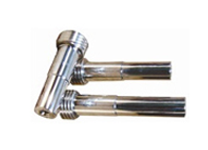 The Applied Aluminium Nozzle Holder is our most popular holder due to its remarkable strength and durability. 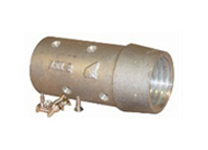 Applied Nylon Nozzle Holders (NNH) are designed for attaching blast nozzles to the blast hose securely.